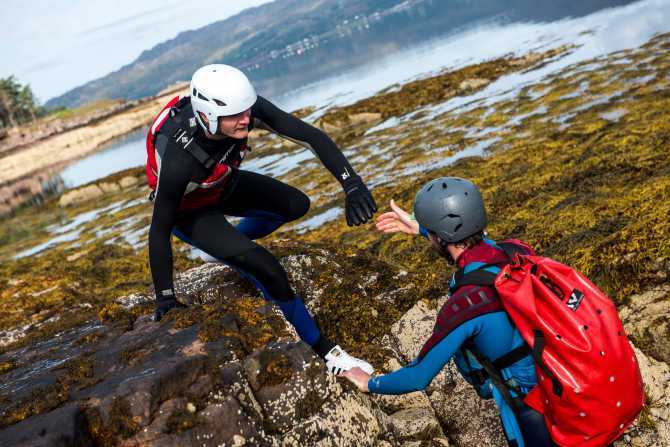 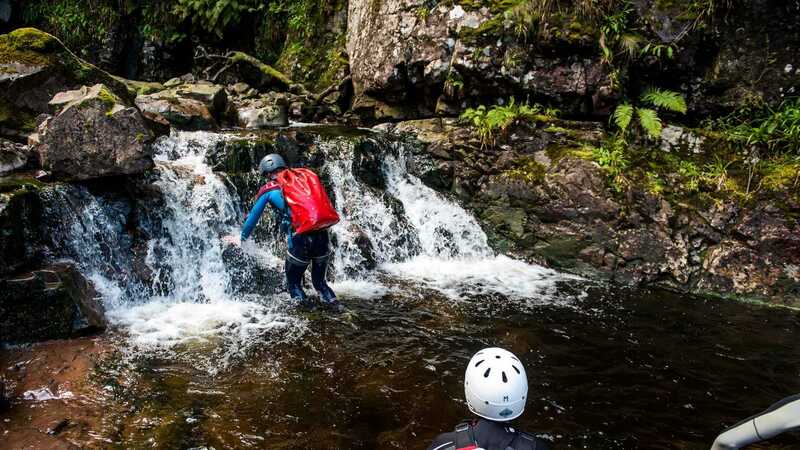 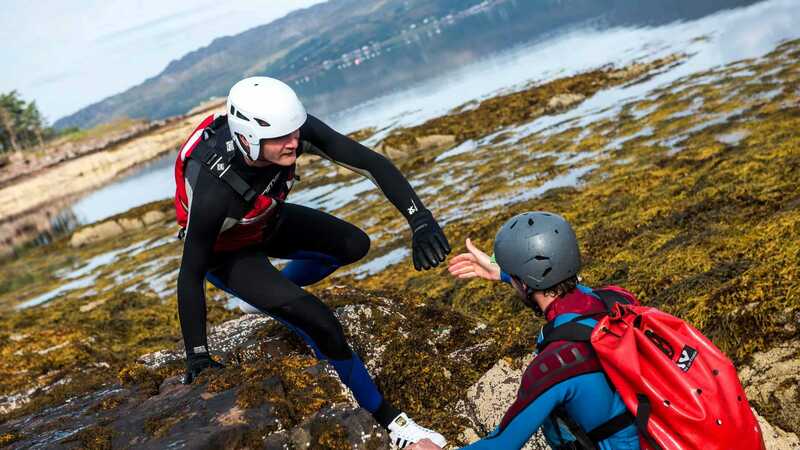 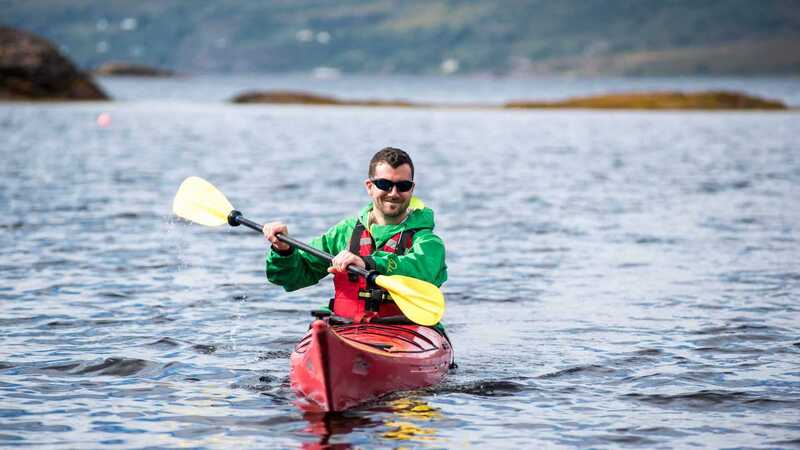 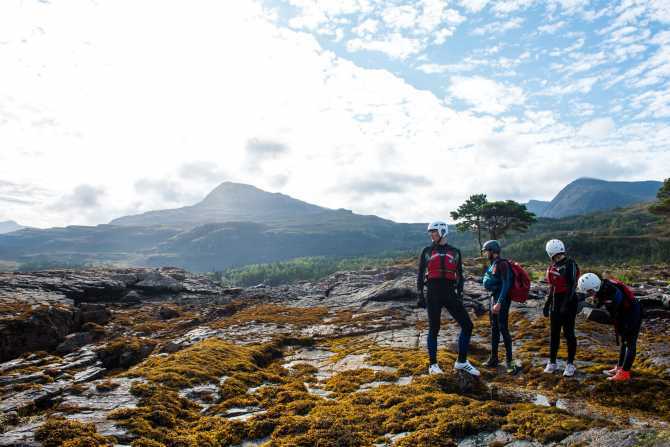 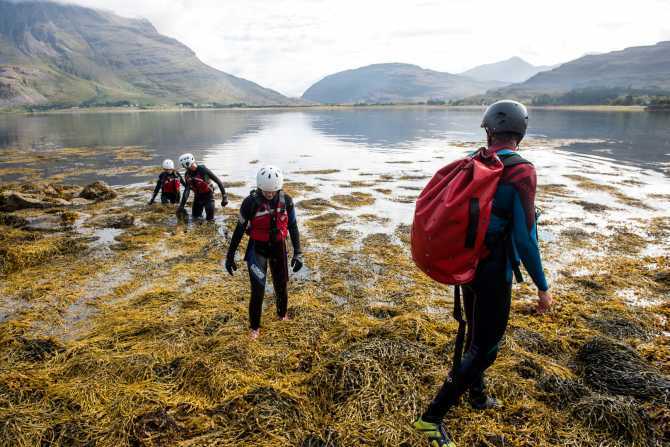 Enjoy a whole new perspective of the amazing Torridon coastline by coming coasteering with one of our highly trained instructors. 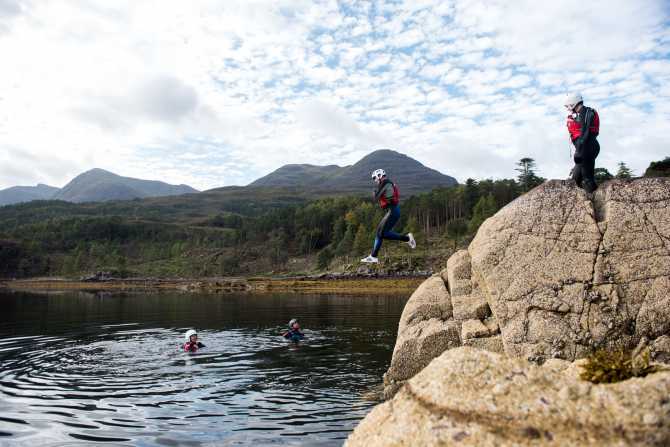 You’ll scramble over rocks, jump off cliffs and swim through bays. 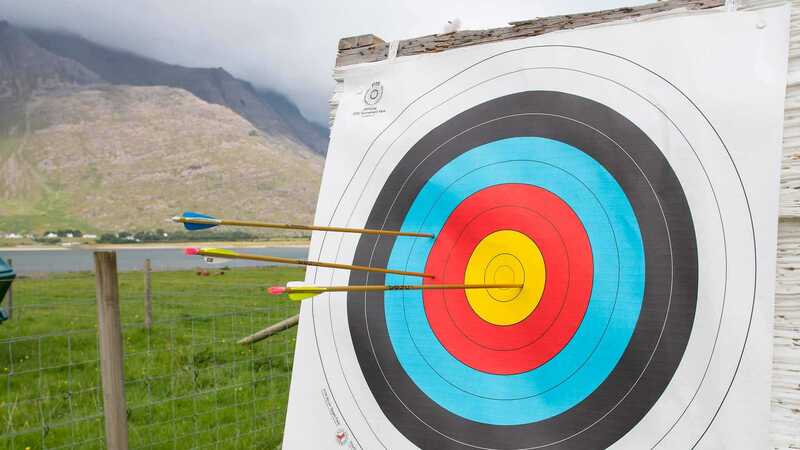 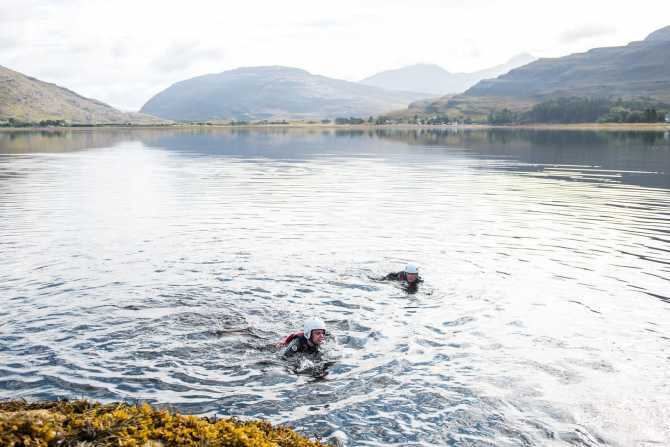 All of this with the crystal clear tidal loch waters to amaze you and the impressive mountainous backdrop to inspire you. 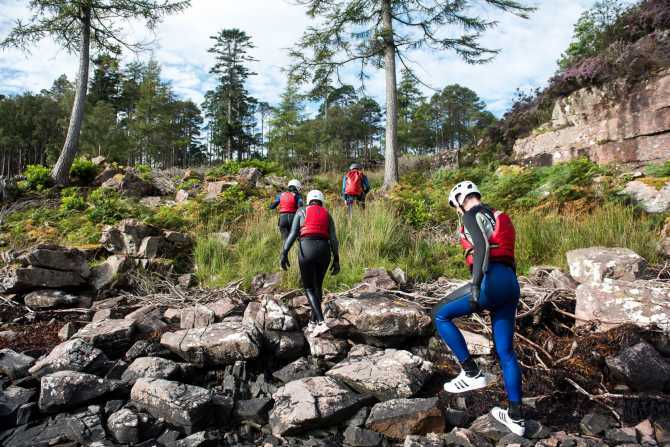 We have wet suits, helmets and buoyancy aids to allow you to enjoy your trip in comfort and safety.